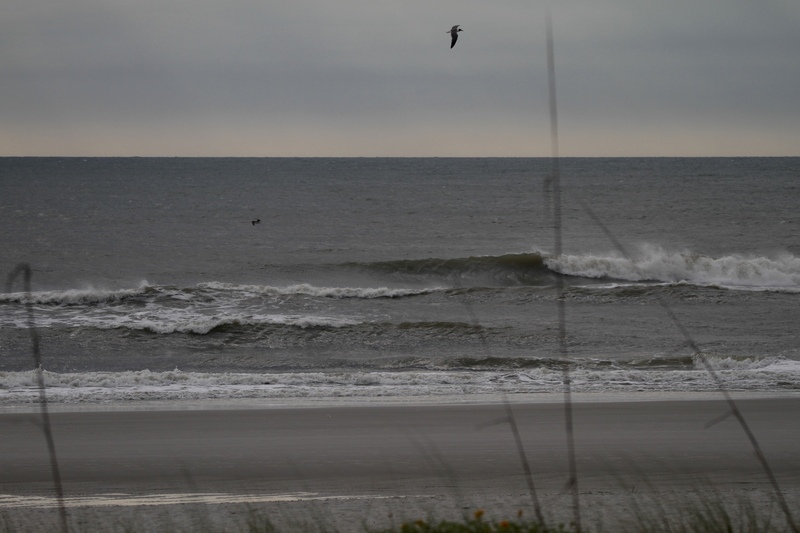 Knee to waist high ENE ground swell. Disorganized with a North wind on it early and a pretty strong drift. Still a few sets coming through you may want to find a spot with a little northerly wind blockage.